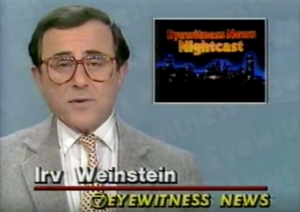 Topping tonight’s Eyewitness News: Irv Weinstein is dead. When he told viewers there was a fire in Tonawanda, as he seemed to do every night, you listened for sirens in Etobicoke. Reports of “lake effects snow” sent chills even north of the border. 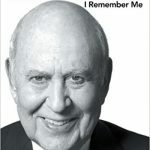 He was as old school as you could get; the middle-aged male “voice of God” news anchor who sat in a studio and made even simple, neighbourhood stories sound immediate and urgent. The Buffalo, N.Y. ABC affiliate was the dominant local newscast pretty much throughout Weinstein’s 34-year tenure. 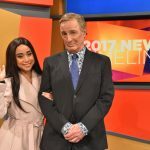 Viewers responded to desk-mates Tom Jolls and Rick Azar too. With their loud ties and blazers, they were, decades later, a blueprint for those Ron Burgundy movies. 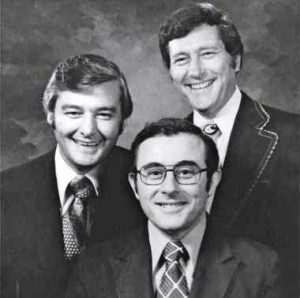 In the ’70s, however, they came across as friendly neighbourhood guys who were truly invested in their community, with Weinstein in many ways the face of city. 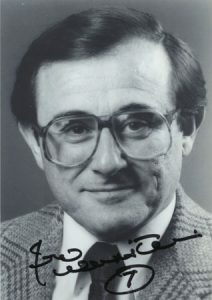 Weinstein retired in 1998 and eventually moved with his wife to southern California. That’s where veteran Buffalo News TV columnist Alan Pergament tracked him down about a year ago. Pergament broke the story that Weinstein was suffering from ALS, the disease that took the anchorman’s life on Dec. 26. Weinstein was 87. For many more details, read Pergament’s comprehensive salute to the Buffalo icon here. Condolences to Weinstein’s family, friends and his many fans on both sides of the border.